A diaper bag seems like a pretty straightforward purchase, right? It’s a big bag that holds a bunch of stuff that you will need for an outing with your baby. Simple enough. Until you realize that wow, you will be carrying around a lot of stuff…and that stuff needs to be organized for easy access… and that stuff can weigh quite a bit so whatever is carrying it needs comfortable straps. So, a good diaper bag needs a little more thought than you might initially think. But hey, that’s why we’re here; to give you some buying tips and review a few of our favorites. While it might be tempting to simply buy a large tote bag and call it a day, we do caution against this. As products designed with Mom and Baby in mind, the best diaper bags will have compartments for you to store the necessities for easy and quick access. Things like diapers, wipes, rash cream, toys, and snacks will all have a place, and you’ll be able to reach into your bag and retrieve whatever you need instantly. 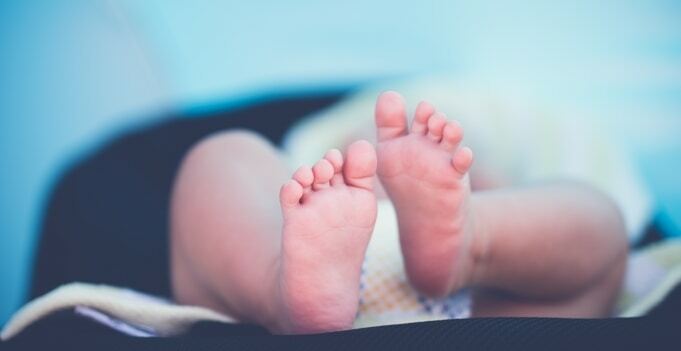 Your baby is going to be keeping you plenty busy, so even saving a few seconds here and there is a perk. Look for bags with lots of pockets. So many pockets that you think you will never use all of them. Because you will find something to put in every single one, we promise. Carrying around a purse and a diaper bag can be a lot, so things like keys, your cell phone, makeup, and other odds and ends will be going in those pockets, too. If you are going to be out and about for the day, you might want to look for a diaper bag that has a few insulated pockets. That way, you can safely carry around your breast milk or formula without having to worry about bringing cooling or warming packs. With all the necessities and extras you will be carrying around, you absolutely want to choose a comfortable bag. Whether your preference is a tote style, messenger bag style, or backpack style, you want something that won’t make you cringe at the thought of taking a long walk with it. Okay, that one might be a little over the top. But, picture this; you have an infant sleeping soundly in the stroller as you go about your errands. Suddenly, you realize that you’re a bit parched and need to retrieve a water bottle stashed in your diaper bag. You pull open that velcro-sealed compartment, and suddenly that dreaming baby is wide awake and demanding your attention. We guess that drink of water will have to wait. Aside from the noise, velcro also sticks to a lot of fabrics and eventually wears out. Our advice? Go with a zipper. If you are traveling with your little one in a stroller, you might want to look for a bag with a secure strap to tether it to your stroller. Be careful, though as a heavy bag can weigh down your stroller to the point that it can tip over backward. The red flag is in the name; diaper bag. You will be cleaning your diaper bag occasionally, so make sure you pay attention to how easy the fabric, inside and outside, is to clean. A bag that is machine washable automatically earns some serious brownie points in our eyes. With those tips in mind, let’s move on to some of our picks for the best diaper bag. Hands-free isn’t just for cellphones when it comes to buying things for your baby. Here are some of our favorite diaper bags you can wear on your back. This bag comes with two front packing cubes for a bit of extra storage in an already roomy bag. It is not only fashionable but also water resistant and hangs on the stroller if you want the extra convenience. The side pockets are insulated so that Baby’s bottle stays fresh, and the elasticized pockets can easily accommodate all their essentials, as well as your personal travel items. It is not machine washable, but the fabric is easy enough to spot clean as needed. While this bag is a little higher on the price scale, it certainly has some great features that add to its value. 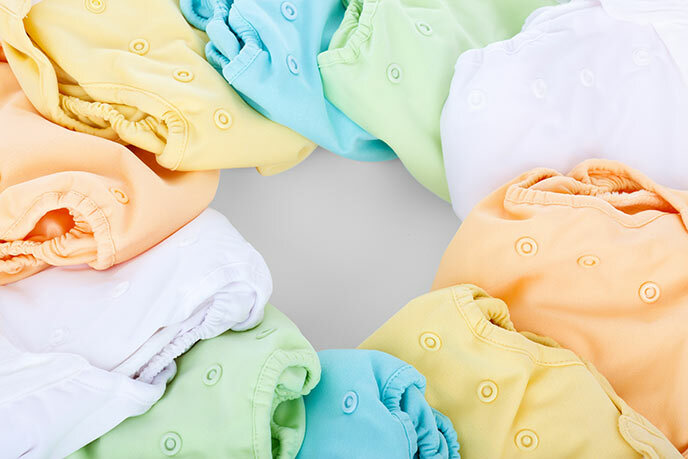 For starters, it is machine washable, and you know how we feel about that when it comes to baby products. The outer fabric is also treated with Teflon to help avoid permanent stains, and an Agion treatment on the inner lining of the bag prevents odor-causing bacteria from growing, as well as protects against mildew and mold. This bag has tons of storage, insulated side pockets, and even comes with a “mommy pocket” so that you can leave your purse at home. If you prefer a bag that you can sling over your shoulder, we’ve got you covered. Here are some of our favorites. This diaper bag could easily be mistaken for a stylish purse. It is pocket heaven for a mother on the go and includes an insulated bottle pocket. Matching grips come included with this bag, so you can easily attach it to your stroller for extra convenience. A removable, padded strap allows you to quickly convert this diaper bag to wear it messenger bag style and the fabric is easily spot cleaned. This cute diaper bag boasts 11 pockets, including insulated bottle pockets. 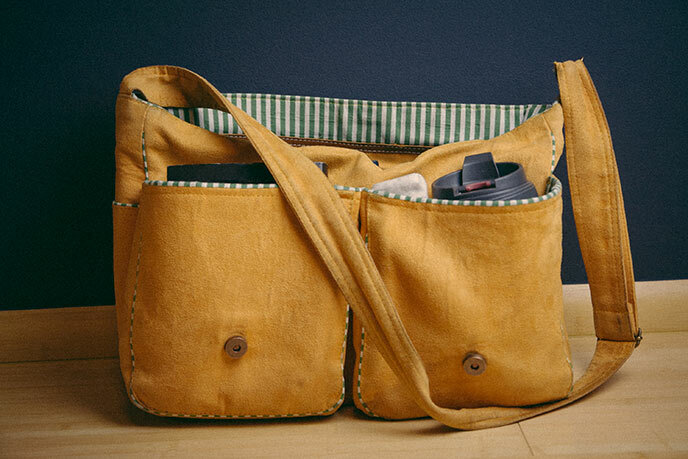 Crafted from a durable canvas cotton, this bag is waterproof and easy to clean. If you prefer wearing your diaper bags in a messenger bag style, an additional strap makes this possible. Also, hooks come included for you to attach this bag to your stroller. We can certainly understand not wanting to spend a huge amount of money on a diaper bag, or even just wanting an affordable backup bag around. Here are some products that give you plenty of bag for your buck. This bag is a steal at under $20.00. Exterior includes 3 front zip pockets that are large enough hold your on-the-go necessities and 1 special design back. It can be carried three ways; as a tote, a messenger bag, shoulder bag, or attached to a stroller with the included clips. With changing pad and 1 detachable shoulder strap and 2 detachable stroller Velcro attach straps. Another product that comes in at $10.00, this bag has tons of space and is lightweight Made from water-resistant microfiber, you can carry this bag in tote style. We love all of the products on this list, but one caught our eye for a few reasons. Let’s look at our favorite diaper bag pick. This bag scores huge points not just because you can wear it several different ways, but also because when you switch from backpack to tote mode, you can easily tuck those backpack straps away in a hidden pouch. It is gender neutral in appearance and features a multitude of pockets, including an insulated bottle pocket. Crafted from water and tear resistant polyester, you can really put this bag through the ringer with no damage. In terms of comfort, storage, and convenience, this bag is a big hit with us. While there are many diaper bags on the market, these are the ones we felt really stood out. Hopefully, we have taken a little of the stress away from finding a great product. After all, who wants to be pouring over hundreds of diaper bag options when they could be spending a beautiful day at the park with their baby? The world is full of things and places for you and your baby to explore, but with these diaper bags, you don’t have to worry about packing light. Enjoy your adventures and remember, even what seems like a simple, everyday errand to you will hold new sights and sounds for your child.